While there is activity at the high end of the market, it is less robust than five years ago. Right now high-value properties, particularly luxury second homes, are in more of a �hold and wait� state. Generally this is because these homes are often bought for cash and there�s little pressure for most of these owners to do anything except enjoy their homes and the activities in Park City. The primary home segment of the market is more active than the high end second home segment. People whose real estate purchases are influenced by employment and other everyday lifestyle decisions are moving ahead with their next real estate/career/residential lives. This active market segment has changed a bit, however. Median sale prices in most of these neighborhoods are noticeably lower than in 2005, although they have generally stabilized over the last year or two. Foreign investment is increasing. I am seeing much more activity from �Pacific Rim� investors � particularly Australia and New Zealand. The hemisphere-inverse seasons provide year-round recreation in either winter or summer activities and climate to enjoy. The exchange rate is a further enticement, as well as a general belief in slow but certain US economic recovery. The growth of Park City / Deer Valley summer events is a strong attraction to residents of warmer areas. 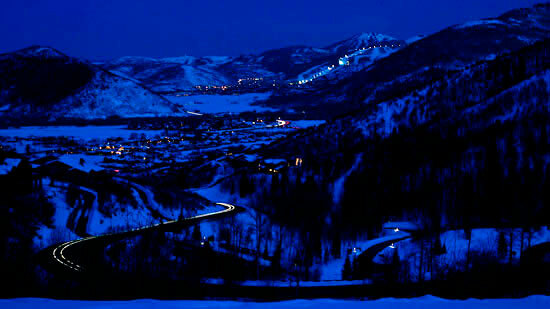 I am seeing robust interest and activity in Park City from buyers resident in the US southeast. In contrast to the normal summer vacation spots for these families, the cooler temperatures of Park City and Deer Valley, the multitude of recreational offerings, and the dynamic mountain setting, are increasingly appealing for family vacations compared to the traditional beach and even the interior mountain resorts of the southeast. What�s next? � The question everyone asks�. My quick sense: we are definitely in the recovery phase of valuations, with robust activity, although prices are slow to increase in most market segments. We could go to somewhat lower valuations in selected segments, but further decline from this point should be much less than that experienced from the valuation peak to the present. To be precise, from valuation peaks, we are presently down 28% in homes and condominiums, and 45% in lots. In fact, there are sound reasons for doing transactions now. For buyers, the selection of listing inventory is large; much greater than in more normal times. For sellers moving to new properties, a straight valuation move from one undervalued property to another is capital gain/loss neutral. Is my trend analysis and thinking helpful to you? I love thinking and talking about real estate trends. Please call or email any questions or personal observations. I update this section whenever I see change or something of interest. I�m happy to share! I�m a real estate professional because this interests and engages me.